Most people are aware that hypnotherapy can be used to treat a whole host of conditions but may be less aware that they can do much to help themselves through the practice of self-hypnosis. Learning self-hypnosis gives one the tools to make many changes in one's life.Bearing in mind that the hypnotic state is generally experienced as deep relaxation in the body, and an inward focus of the mind, every hypnotherapist will tell you that all hypnosis is self-hypnosis. The state of hypnosis is a naturally occurring one and thus the hypnotherapist is merely assisting you during treatment to create this natural state for yourself for the purposes of therapeutic work. Very often when a person is undergoing a course of hypnotherapy treatment, the therapist will teach them self-hypnosis. There may be different reasons for this. On one level, the practice of putting oneself into self-hypnosis on a daily basis can have a generally relaxing effect. A person experiencing sleep difficulties could be encouraged to practise self-hypnosis in bed each night because the state of hypnosis is akin to the hypnogogic state which precedes sleep. Very often however, the therapist will teach self-hypnosis so that the client can reinforce and support the work done in the sessions. In this case, the therapist will also give the client a few relevant statements to make to themselves in their self-hypnosis sessions, and will encourage them to do this twice a day. There is no doubt that the use of self-hypnosis in this way can have an important impact on the speed and effectiveness of treatment. It is not necessary to be undergoing hypnotherapy treatment in order to learn the skills of self-hypnosis. One can simply arrange with a hypnotherapist to be taught the skills. There are however a number of self-hypnosis courses available. These will provide you with a basic understanding of hypnosis, instruction on putting yourself into a hypnotic state and how to create effective self-suggestions to move you towards your goal. Courses can range in length from a few hours to a whole weekend. The longer courses will generally teach you a few more advanced skills such as creating anaesthesia for pain the source of which you know. Whilst not every issue can be completely addressed through self-hypnosis alone, many people gain very pleasing results. Imagine being able to improve an athletic skill, or being able to study in a focused way and retain information, or be more confident in certain situations and you will understand how you can harness the power of your mind in this way. There is currently on the market a vast array of recorded material addressing a wide range of issues that are essentially guided self-hypnosis sessions. Invariably, they will include talking you into a hypnotic state, a series of suggestions designed to create certain outcomes, and guided imagery and visualisation accompanied usually by relaxing music. The advent of the internet has meant that you can download a recording directly to your computer. One company that produces a wide range of such downloads at low prices is Uncommon Knowledge. Some of these recordings make use of up to date research on brain waves and include binaural beat technology to assist in efficiently developing a state of hypnosis. 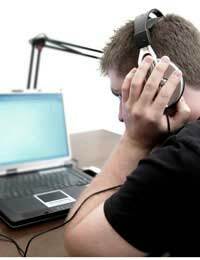 Yet others deliver different recording in each ear whilst you are listening through headphones. Presenting material in this way overloads the conscious mind so that suggestions can efficiently reach the unconscious mind. People report varying results with these materials. The main drawback is that the recording is not designed specifically for you. This means that it may not deal with every aspect of an issue for you. The beauty of learning to design your own self-hypnosis sessions and create your own self-suggestions is that you can indeed make it entirely relevant to you. Having designed your own sessions, you can always make your own recordings. Whilst the practice of self-hypnosis requires discipline, there is no doubt of its efficacy. Some of the world's top performers use self-hypnosis as a matter of course. Whether you investigate CDs and tapes or go on a course, you too can learn to help yourself with self-hypnosis.